Will Your “At-Will” Disclaimer Protect You from Wrongful Termination? Christine Oakes worked as a manager for Barnes & Noble in Saratoga for eight years, from 2002-2010, and was fired. Ms. Oakes filed a wrongful discharge lawsuit against the company, alleging wrongful termination, gender discrimination, and other causes of action. 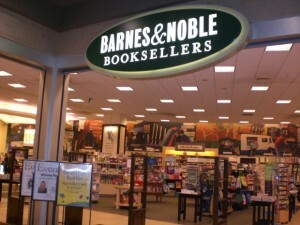 Barnes & Noble argued that Oakes was an at-will employee who was terminated for legitimate business reasons. The company stated that Oakes received the code of conduct rules and the company had received Oakes’ acknowledgement receipt in 1999, which, included where Oakes signed off on the basis she was free to leave Barnes & Noble anytime during her employment as an “at-will” employee. However, Oakes pointed out to the court that the handbook also described a policy of progressive discipline in which, Oakes, who was a store manager, testified that she had been instructed by Barnes & Noble’s human resources department to use progressive discipline before terminating employees. She stated that if she terminated someone “without the proper paperwork,” she “got reprimanded for it.” Furthermore, two company supervisors testified that they were unaware of any other cases where employees had been terminated without the progressive discipline steps having been followed. The court then noted that although language in the handbook and other company documents supported Barnes & Noble’s position that Oakes was an at-will employee, there was also evidence supporting the existence of an unwritten policy of always using progressive discipline before an employee was discharged. Based on those facts, the court stated that the case could move forward to trial. Employers should make sure to be aware of unwritten policies as well as written policies before terminating employees. This type of situation is exactly why I decided to write my new book 101 Costly HR Mistakes..and How to Fix Them! For more information click here to get your copy today!